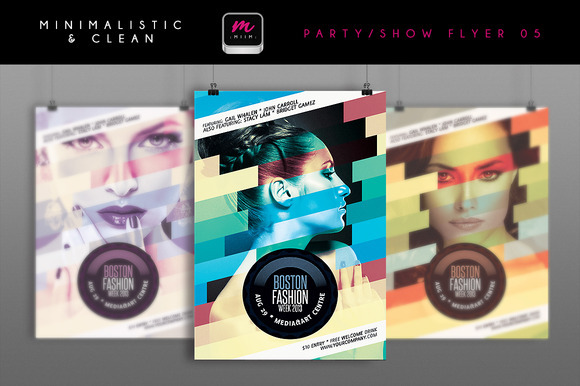 Creative minimalistic party or event flyer template with glamour style. Easy to modify, change colors, texts. Fully layered PSD files. Fully customizable and editable. 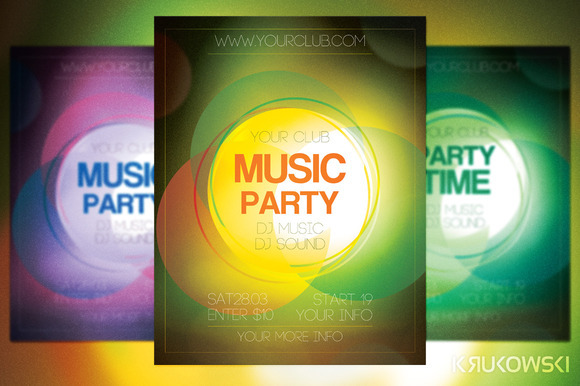 CMYK colors, 300 DPI high resolution, 4 x 6 (4.25 x 6.25 with bleed setting). 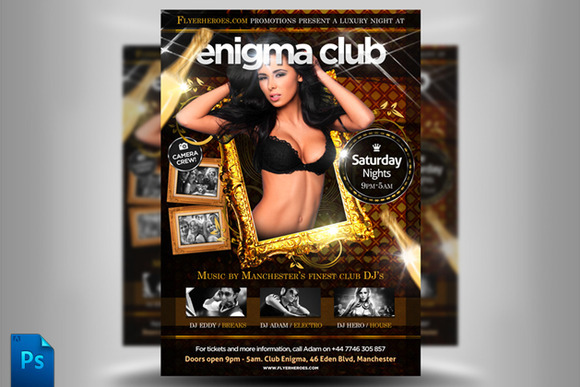 Print ready format! Model stock photos are not included! Very easy to place your photo with smart object. Free fonts in this template: Caviar Dreams http://www.fontsquirrel.com/fonts/Caviar Dreams , Steelfish http://www.fontsquirrel.com/fonts/steelfish For any help regarding this file, please feel free to contact me through my profile page! 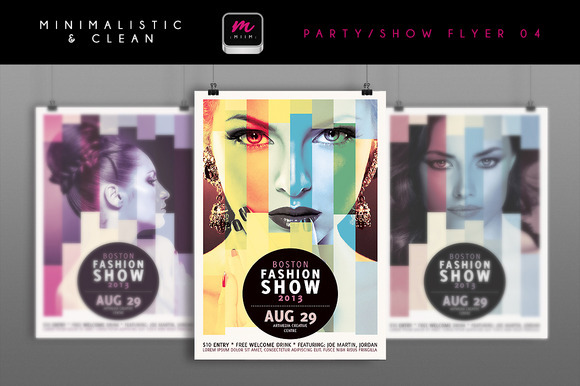 Creative minimalistic party or event flyer template with glamour style. Easy to modify, change colors, texts. Fully layered PSD files. Fully customizable and editable. CMYK colors, 300 DPI high resolution, 4 x 6 (4.25 x 6.25 with bleed setting). 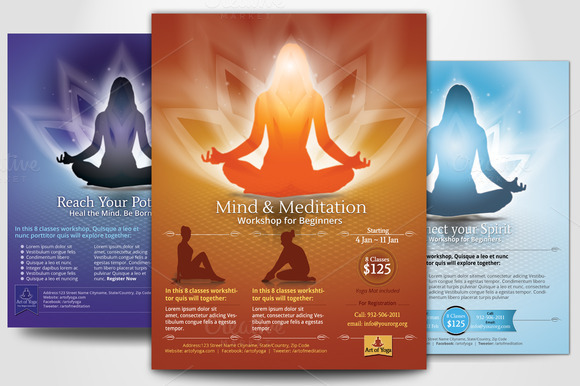 Print ready format! Model stock photos are not included! Very easy to place your photo with smart object. Free fonts in this template: Delicious SmallCaps http://www.fontsquirrel.com/fonts/Delicious , Delicious Heavy http://www.fontsquirrel.com/fonts/Delicious For any help regarding this file, please feel free to contact me through my profile page! 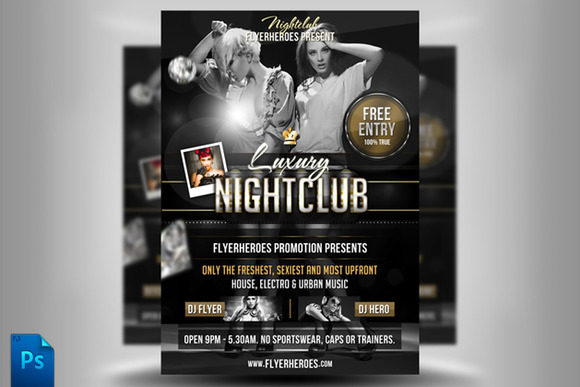 Club Flyer Template Perfect for nightclubs bars and music events Club Flyer Template comes with the following awesome features. 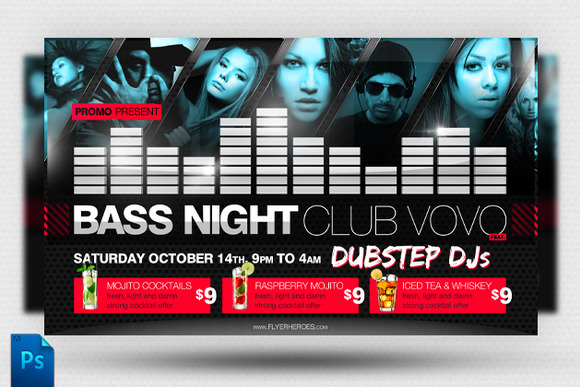 Included Print Ready CMYK PSD Files Included Original RGB PSD Files High Quality 300dpi Print Ready Files Highly Organised Layers Clean Design Editable Styles High Quality Font Friendly Customer Support Optimized for slow computers Stock Photos for display purposes only and are not included in the final download. Technical problems? I will support you one on one via Skype! Customization service available! 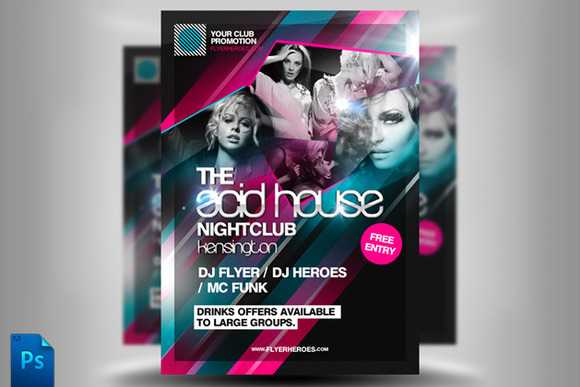 Acid House Flyer Template Perfect for any type of bar or nightclub party event. 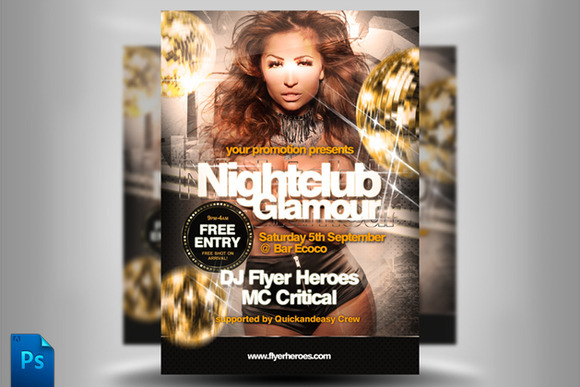 Acid House Flyer Template comes with the following awesome features. 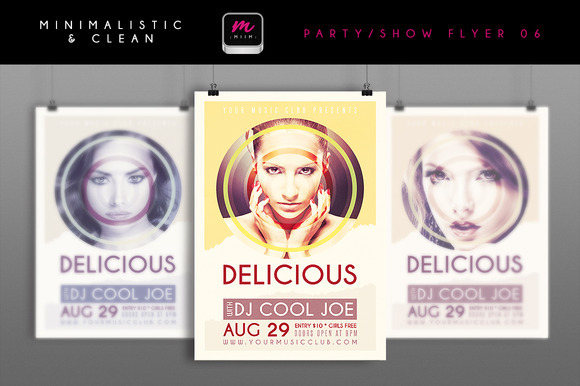 Included Print Ready CMYK PSD Files Included Original RGB PSD Files High Quality 300dpi Print Ready Files Highly Organised Layers Clean Design Editable Styles High Quality Font Friendly Customer Support Optimized for slow computers Stock Photos for display purposes only and are not included in the final download. Technical problems? I will support you one on one via Skype! Customization service available!